You'll want to visit every day! 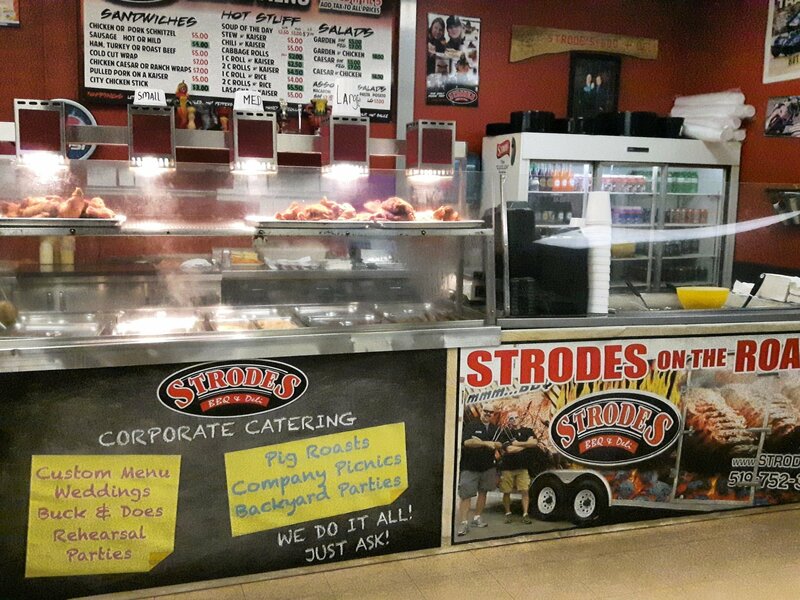 One visit to Strode's BBQ and Deli is simply not enough. If you come for the fresh meats, you will also want to leave with a hot lunch, cured meats, cheeses, frozen meat pies and pretty much everything we have to offer. Strodes has everything you need to create the perfect meal at home. 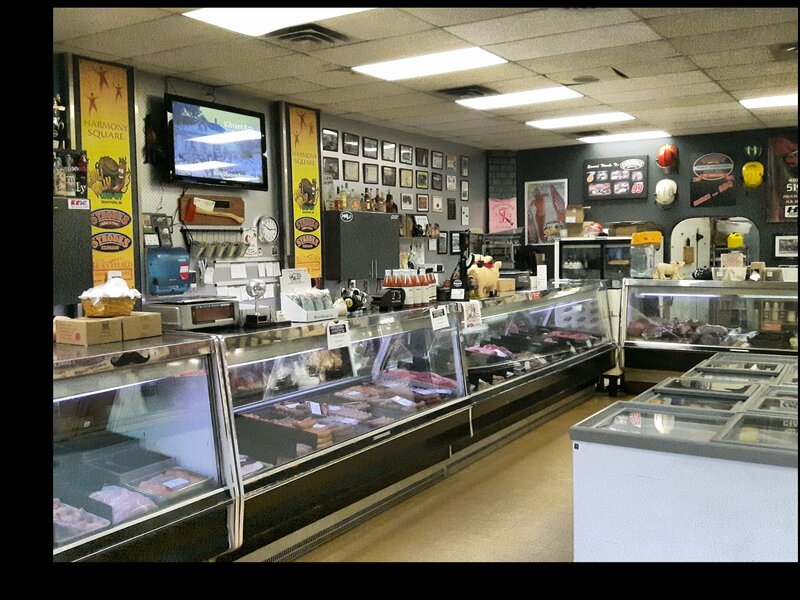 We offer a wide selection of fresh, locally produced and butchered meats for you to impress your family and guests. Choose from many different cuts of beef, pork, chicken, ribs, lamb, bacon and more. Enjoy our own blended sausages in a variety of delicious flavours! Take home our cured meats like kielbossa, Polish sausage, cold cuts, etc. We also offer a great selection of high-quality frozen foods that were packaged and frozen right here on site in our kitchen facility. We make our own meat pies, chicken tenders, breaded shrimp and more for you to take home and warm up on a cool day. Plus, we recently added some great frozen and packaged British foods from our partners at British Pride Bakery. Pick up a pastie or some delightful chocolates from The UK! There's really just too much for us to list here, you'll have to come in and see for yourself. Everything is as local as possible, supporting many of the meat producers in the Brantford area. High-quality frozen meat pies, seafood and more. Hot deli-counter serving a wide selection of take-away comfort foods like pulled pork, lasagna, schnitzel, cabbage rolls and our award-winning soups. Daily lunch specials with new items added all the time. Let us handle the cooking! Grab some hot take-out from our deli counter 6 days a week. Every day we offer a new special but you'll never get tired of our regular items either. Get your fill of soups, cabbage rolls, pulled pork on a bun, schnitzel on a bun, sausages, lasagna, stew, chili , salads and lots more. Order ahead to save time, either by phone or fax. You can download a copy of the menu and keep it handy for ordering - we guarantee it will make you hungry. Be sure to "Like" us on Facebook to get updated on the daily specials! "Strodes provided amazing food for my parents 50th Anniversary Garden party. The food was so delicious and every one was talking about it. 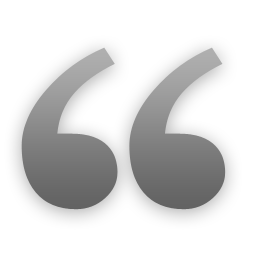 It certainly did us proud to serve such quality food for our guests!" "Strodes catered our wedding and it was the most amazing food! Guests are still raving about the meal! 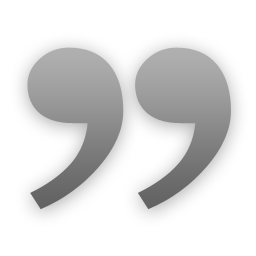 I would 100% recommend them to anyone!" 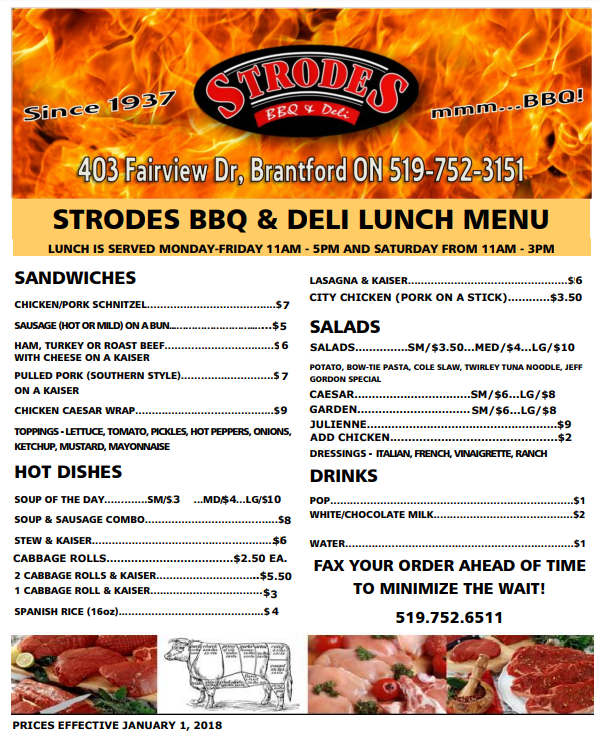 "I and many of my friends have purchased a LOT of meat and other products from Strodes and have never had anything but a great experience. Keep up the great work, Strodes."